One thing we had requested from visitors were schedules of the NHL in specific time zones across Canada/North America and so that’s what we are working towards doing. Below is the complete 2018/2019 schedule in EST format or Eastern Standard Time. Most of Ontario, Nunavut and Quebec use EST as well as states in the USA such as New York, New Jersey and Ohio. This is also a printable NHL 2018/2019 schedule in EST. You can print the entire thing if you want or even download it to your computer or phone or add it to your Google Drive. It’s also searchable meaning you can search for just your team if you wish. We’ll have more timezones in the next few days. 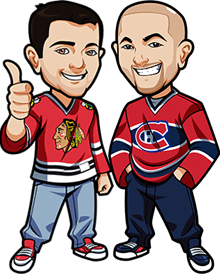 If there are any timezones out of Canada you want this for shoot us an e-mail at betnhl.ca@gmail.com and we’ll see what we can do. Same if you have any suggestions on how to improve this.